Not long ago we had an encounter, ‘Meeting Archey’s Frog – The World’s Most Evolutionary Distinct and Globally Endangered (EDGE) Amphibian Species’. The very next day we went on the search for another of New Zealand’s endemic, threatened amphibian species, the Hochstetter’s Frog. After a short walk down through the dense bush, we came to a small stream. We had been instructed by our knowledgeable friends that if we were to turn over a few stones we would be in luck. No word of a lie, a few stones later we had found our first Hochstetter’s. We preceded to find several more, varying in colour from dark brown, through beige to green. To say we were chuffed, would be an understatement. Two rare New Zealand native frogs in as many days! The whole experience was unbelievable. 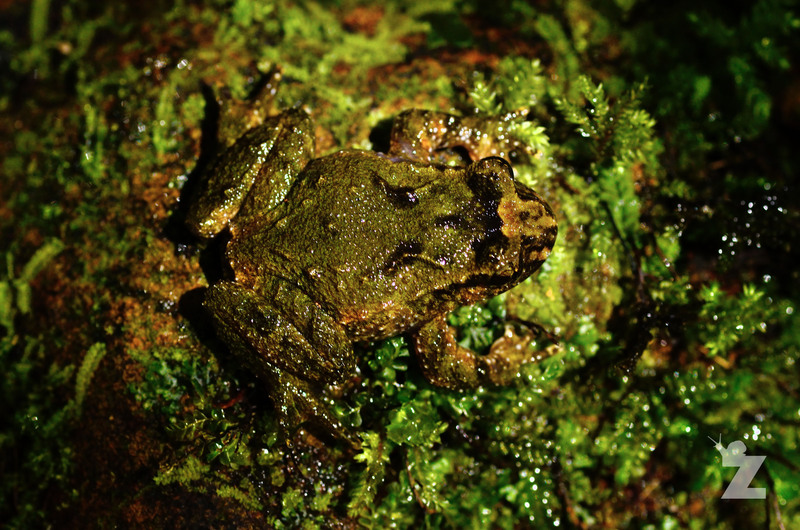 The Hochstetter’s is the second and final endemic frog found in the North Island. The remaining two, Maud Island frog and Hamilton’s frog are found in the South Island. New Zealand once had 7 species of frog. Three (L. auroraensis, L markhami and L. waitomoensis) are now extinct leaving four extant species (L. archeyi, L. hamiltoni, L. hochstetteri and L. pakeka). Like the Archey’s Frog (and the two South Island species), the Hochstetter’s frog belongs to family Leiopelmatidae. This family of frogs share an ancient lineage and have changed little in millions of years. This group share a relatively primitive form. Some of the shared features of Leiopelmatids include: 9 presachral vertebrae (as opposed to 8 in other anura), tail-wagging muscles (despite having no tail as adults), inscriptional ribs unlike other frogs and toads, and they have round (not slit) pupils. They also show late jump recovery. When most frogs jump, they land in such a manner that allows them to make a quick sequential jump. Leiopelmatids, however, jump landing in a “belly flop” fashion. They reposition their limbs for take-off for the next jump only after hitting the ground with the ventral surface of their bodies. All four species also lack external eardrums, and as a result make limited vocalisations. The Hochstetter’s frog has some interesting features that differ from the other extant species of this group. 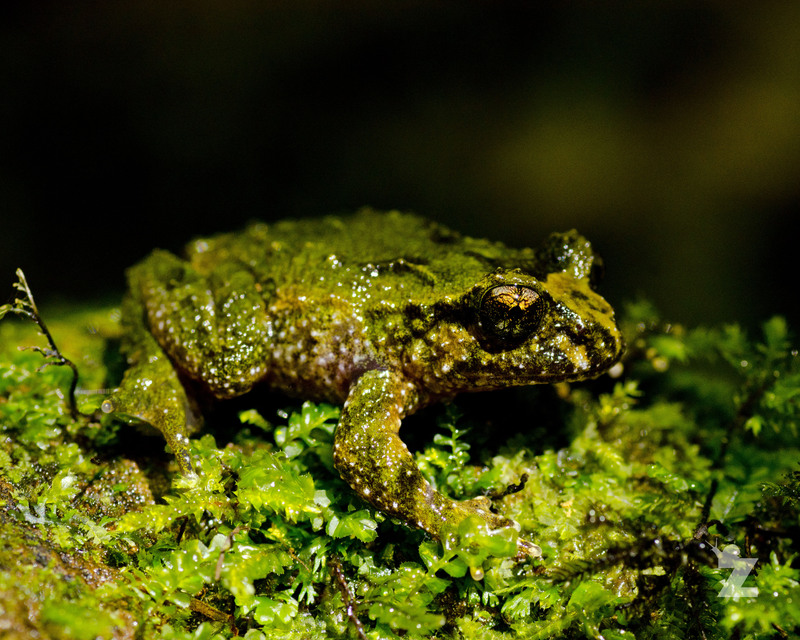 Hochstetter’s frogs lay their eggs in shallow puddles, unlike the three other endemic New Zealand frog species who tend to lay their eggs on land in moist leaf-litter. Being the only semiaquatic species, their tadpoles (that hatch with developed hind limbs) continue to develop in water. The three other species care for their young and carry the hatched froglets on their back. Hochstetter’s are the only native New Zealand frog species to have webbing, with its hind feet being partially webbed. Hochstetter’s also have the most extensive distribution of the native frogs. They are located in isolated pockets across the upper North Island, including the Waitakere and Hunua Ranges, the Coromandel Peninsula, Great Barrier Island, Maungatautari Ecological Island, and the East Coast. A history of glacial isolation has produced ten genetically distinct populations. The threats facing this distinct species are much the same as those facing all New Zealand amphibian species: diseases such as amphibian chytrid fungus, predation from cats, rats, hedgehogs & possum and habitat modification/destruction. Despite the dire circumstances facing these little frogs and their New Zealand cousins, there are somethings we can do: Learn a little more about New Zealand native frogs, find out if they are in your local area. Approach the Department of Conservation or other organisations that are involved in protecting these wonderful creatures and see what you can do to help locally.